An anonymous contribution, with no real details. From comments on the Facebook page, it appears it was taken sometime in the mid-1970s and could have even been part of the Sesqui-Centenary parade. 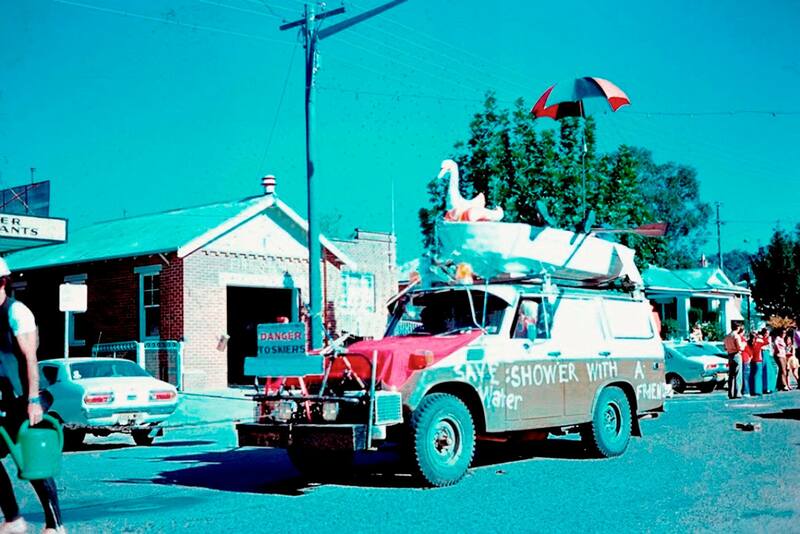 Bourne’s Hardware and Tumut Fire Station in the background.